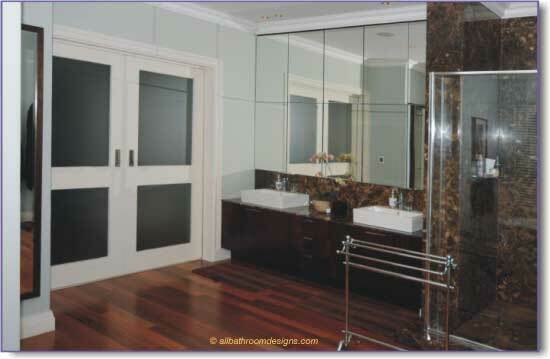 Installing pocket doors must rate as one of the top space saving tips in your bathroom layout! 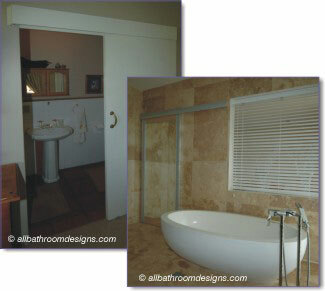 Because they provide such a neat and stylish entrance to a bathroom, we quite like them in spacious bathrooms too. Put on either side of a generous arch, they add to the sense of space in this master bathroom. Quite often the space for a guest toilet can be so small, that you have to squeeze in next to the toilet to close the door behind you. A pocket door could easily solve this problem. SIDEBAR: If you are doing a new build or extensive remodeling, now is the ideal opportunity to consider pocket doors. Not just for your bathroom doors, but also to divide or open up space between living room and dining room, breakfast nook and sun room etc. OK, so how difficult are they to fit retroactively? As always there are a couple of practical considerations (aren't there always) but none of them are insurmountable. Is the wall a load bearing wall? 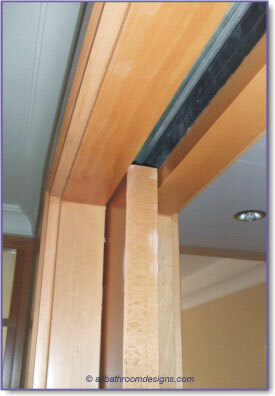 The beam or lintel above the door will have to be replaced with a longer one to extend over the pocket as well. You may need scaffolding for support during the installation - do consult with a professional for advice. Pocket door kits are readily available, not expensive and can be installed by a competent handyman. 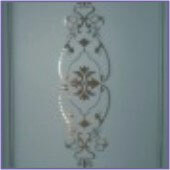 Go for a quality product which will easily last the lifetime of the house. If you cannot have a pocket door for whatever reason, you can still have a space saving sliding door or bypass door. They are typically hung from a track on top with a boxed enclosure or pelmet to tidy it all. You can be as creative as you wish in your choice of materials and design: bamboo, perspex, metal, glass ... and any combination your heart desires. 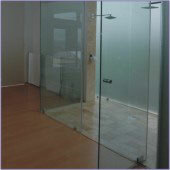 By simply changing the position of your Bathroom Doors or the way they open, you will have so many more layout options. Our Bathroom Layouts page has printable graph sheets and fixtures to assist you with your bathroom floor plans.